Ever got a chance to call a self-described proponent of “Common Sense Gun Control” a “Gun Banner” or “Gun Grabber”? If it’s a run-of-the-mill anti-gunner they might agree, but if they’re one of those that are steeped in top-down anti-rights talking points their reaction will be mock indignation. Just look at the monikers they choose for themselves. “Common sense Gun Control”, “Gun Safety Advocate”, “Gun Reformer”. What’s their agenda? Well banning guns, of course! Just don’t call them a “Gun Grabber” because NOBODY is going to take your guns away! Uh huh! “Massacre Prevention”. Have you heard about that mass shooting at the NRA Annual meeting? How about at your local gun show? 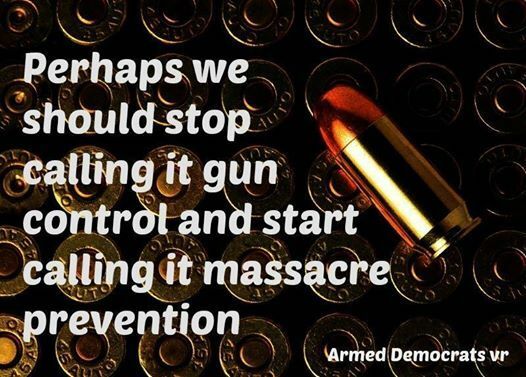 Have you noticed that the massacres that happen are almost always in places with heavy gun control? Oh and what is the agenda to “Prevent” massacres? Why simple, make the REST of the country like the location the killer CHOSE to go on a shooting spree! So they are not interested in single murders, double murders, and suicides anymore? Heh, wrong question. They were never interested in those murders EVER, NOR are they interested in massacres. Their only interest is feigned for the sake of banning guns. Massacre Prevention; how are you going to do that? You mean like the ones the University of California at Santa Barbara killer passed? You mean the ones like the 10 round magazines the Virginia Tech killed used? And on and on…not one of their suggestions will stop a massacre and history can be used to support that.